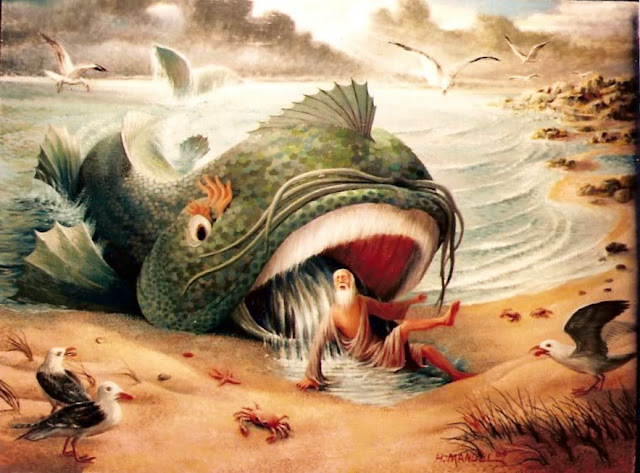 The men of Nineveh will rise up in the judgment with this generation and condemn it, because they repented at the preaching of Jonah; and indeed a greater than Jonah is here. For Jonah was a servant, but I am the Master; and he came forth from the great fish, but I rose from death. He proclaimed destruction, but I am come preaching the good tidings of the kingdom. The Ninevites indeed believed without a sign, but I have exhibited many signs. They heard nothing more than those words, but I have made it impossible to deny the truth. The Ninevites came to be ministered to, but I, the very Master and Lord of all, have come not threatening, not demanding an account, but bringing pardon.